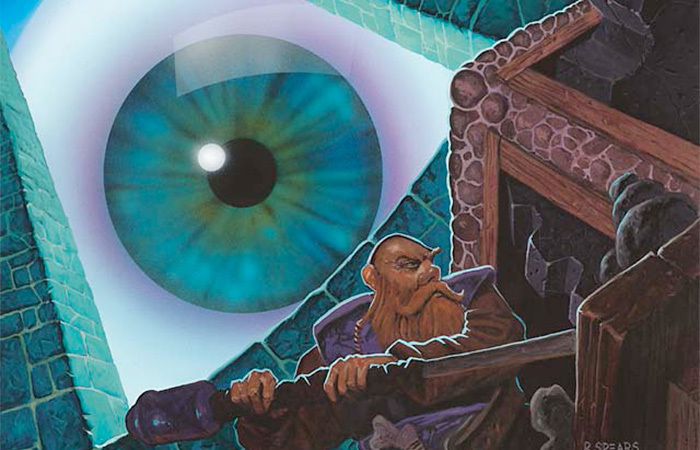 Magic is a game with a lot of hidden information. 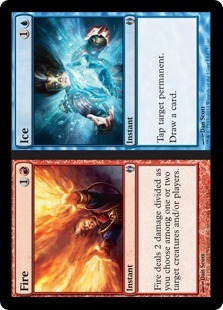 For example, you don't get to see most of the cards your opponents drafted. You cannot see what cards are in your opponents' hands. You do not know what is lurking at the top of their libraries. However, this hidden information isn't entirely inaccessible. 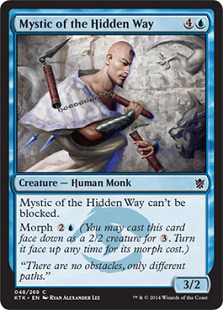 Some cards force your opponent to reveal their hand (Thoughseize) while some cards force your opponent to reveal with libraries (Lantern of Insight) or decks (Extract). However, a skilled player doesn't need these cards to deduce what's in the opponent's hand. He or she can gain a wealth of insight by merely observing the board state or by "reading" their opponent's facial expression. Having access to more hidden information in the game means you can make better decisions. Today, I will be discussing some ways to improve your ability to extract various pieces of hidden information in a game. Back in the days where "netdecking" and Magic Online wasn't that popular, players can gain a lot of edge by knowing where to find decklists from the internet. Today, there are lots of accumulated knowledge available on the internet, pooled together by the community. There are more resources than you have time to read and explore. Articles and content are being posted online on a daily basis. Because of that, you can easily find decklists of the top performing decks from the coverage of Grand Prix or Magic Online. Some websites even collect these data and compiled them into a metagame analysis. You don't get to pick up and see what cards are in your opponent's deck, but if you are familiar with the popular archetypes, you can quickly gather a lot of information to deduce what is in your opponent's hand and deck. You also get to predict their game plan more accurately and act accordingly when you have more knowledge of the top archetypes. 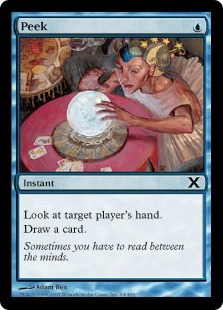 For example, people sometimes get caught off guard by niche sideboarding like Empty the Warrens in Storm's sideboard. This is less likely to happen if you have read the decklists and prepared for it. This also explains why "transformational sideboarding" is less successful these days compared to 10 years ago. For Limited, it is critical to familiarize yourself with the combat tricks in the format. 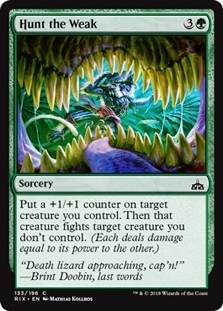 For example, in Rivals of Ixalan Limited, it could be risky to cast Hunt the Weak on your 3/3 to kill their 3/3 if your opponent has a White mana open. If you're familiar with all the combat tricks in Ixalan Block Limited, they could have Moment of Triumph or Vampire's Zeal. That means you need to be wary of the potential blowout. However, if your opponent has only a single Green mana open, you can safely cast your Hunt the Weak because there is no one-mana pump spell which is Green in the entire format. 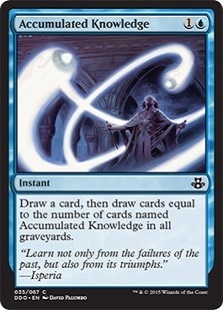 As you practice more and have more experience with the cards in a Limited format, you are more likely to figure out what cards are in your opponent's hand as you observe the board state the way they sequence their spells. Sun Tzu (an ancient Chinese militarist) said in The Art of War, "Know the enemy and know yourself; you will not be imperiled in a hundred battles." An exciting way of playtesting is to pilot other decks against your deck. I learned this from Lee Shi Tian when he was playtesting for his Top 8 match of Pro Tour Fate Reforged, where he asked me to play Burn (his deck) against him playing Blue-Red Twin (his opponent's deck). This method allows you to develop a deeper understanding of the matchup from your opponent's side. You get to know what cards matter the most to them, and what cards matter less to them. Doesn't that allow you to see beyond your perspective? As you understand their game plan more, you'll also recognize how they're likely to sequence their spells. It becomes easier to predict what is in your opponent's which allows you to choose a better line of play. Since then, I have adopted this method and always try to have some experience of piloting decks that I expected to face against the deck that I am using for a tournament. 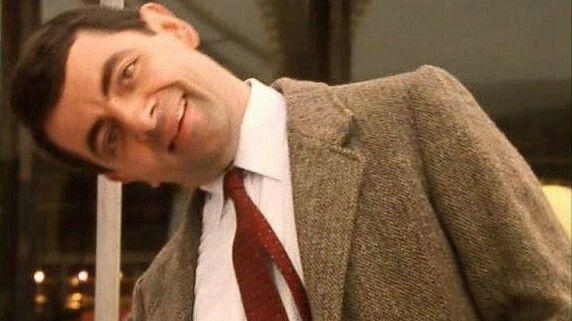 Do you turn your head sideways when you're reading Fire // Ice? Well, if you do, you might just have given away precious information to your opponent. It is normal to feel excited when topdecking a much-needed spell. It is also normal to feel dejected when drawing three irrelevant cards consecutively. A good player can maintain a poker face while a less-experienced player will give away information of their hand through their body language, often without noticing it. For example, I have a friend whose nickname is "Mr. Stubborn Denial because whenever he has [[TAG_CARD_NAME='Stubborn Denial"]] in hand he would look super confident and sit up straight. I also observed that some Magic players developed a habit of playing lands that they would unconsciously try to lay a land that they freshly drew off the top. Besides body language, the timing that your opponent pauses could also give away information. 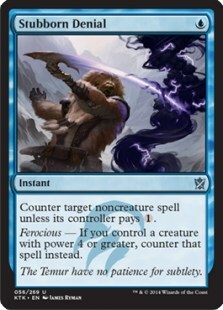 For example, if they pause when you cast a removal spell on their creature they could have a pump spell. Or, if they pause at the end of your turn, they might also have an instant in their hand, while you can quickly narrow down based on the format. On the other way round, you can prevent giving away information by being aware of how your opponent will observe you. Learn to read Split cards without turning your head or the card sideways (haha!). Try to control your facial expressions and body language. 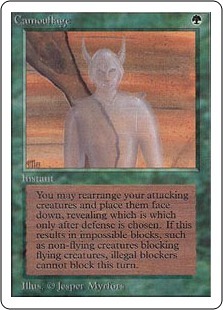 Staring at the art or flavor text of a basic land for a few seconds can be useful camouflage. You can think ahead of time and envision the possible scenarios your opponents could present and react swiftly when these situations take place. Doing some mental simulations in your mind beforehand can help you greatly when it does happen since you will have shorter pauses and this could protect the information in your hand. I hope you find this article useful and interesting. As you can see, Magic is not just about the numbers and words on the cards. Anyway, my next event will be Grand Prix Kyoto in late March, where I will be teaming up with Team MTG Mint Card teammates Eduardo Sajgalik and Huang Hao-Shan. See you next time!